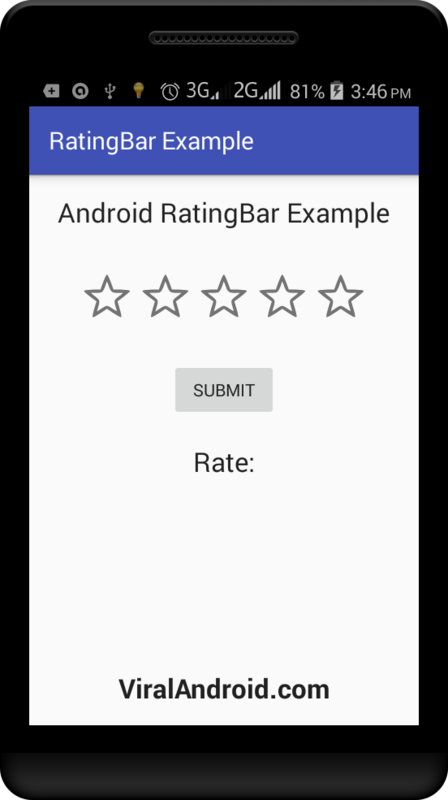 In this tutorial, you will learn to display rating bar in android application. RatingBar helps users to give rate by drag, touch and click on the stars. 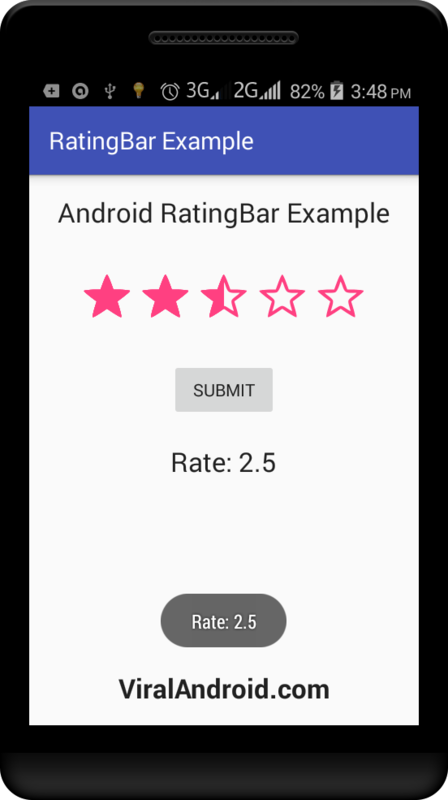 In android, using RatingBar it’s very easy to get user rating. Here, I have used a rating bar, a button and few textview. RatingBar is used to accept user rating, button to submit rating value and textview to display rating value. Now, run your Rating Bar android application and give rate by dragging or touching rating bar and click Submit button. Your application will look like output given below.